Motorcycle crashes involving larger vehicles can be devastating. But what should you do in the event of a motorcycle and car accident? Attorney Brad Tabakin has 25 years of experience representing motorcyclists in Pennsylvania and New Jersey, and he’s here to help you understand the ins-and-outs of filing a claim and seeking compensation in the aftermath of a collision. Mr. Tabakin is a top auto accident attorney and rider himself. During his time spent fighting for biker’s rights, he has helped clients secure millions of dollars in verdicts and settlements. If you have been involved in a motorcycle accident, contact Brad Tabakin at 877-333-0300 to schedule a free case evaluation. To keep up with the Bikers Rights Community, click here to join our Facebook group. What Happens After a Motorcycle Car Accident? It’s no secret that motorcyclists are far more vulnerable than their four-wheeled counterparts. 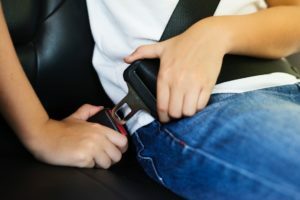 While drivers behind the wheels of SUVs, sedans, and hatchbacks can rely on layers of safety features such as roll bars and seat belts to protect them in an accident, there’s little separating a motorcyclist and the elements. In fact, bikers are 27 times more likely to suffer fatal injuries in an accident than drivers of other vehicles. The medical bills, lost income, and property repairs sustained in a motorcycle car accident can cost tens of thousands of dollars or more. While insurance might cover some of these expenses, obtaining fair compensation often involves an uphill legal battle because insurance companies have incentive to undervalue and deny claims. If you were seriously injured or lost a family member in a motorcycle crash, the outcome of your claim could have a profound impact on your financial future. Attorney Brad Tabakin has decades of experience representing bikers in settlement negotiations, and he has the litigation experience to represent your interests in court if necessary. If you have been the victim of a motorcycle and car accident, it’s time to seek legal assistance. Call 877-333-0300 today to get started.